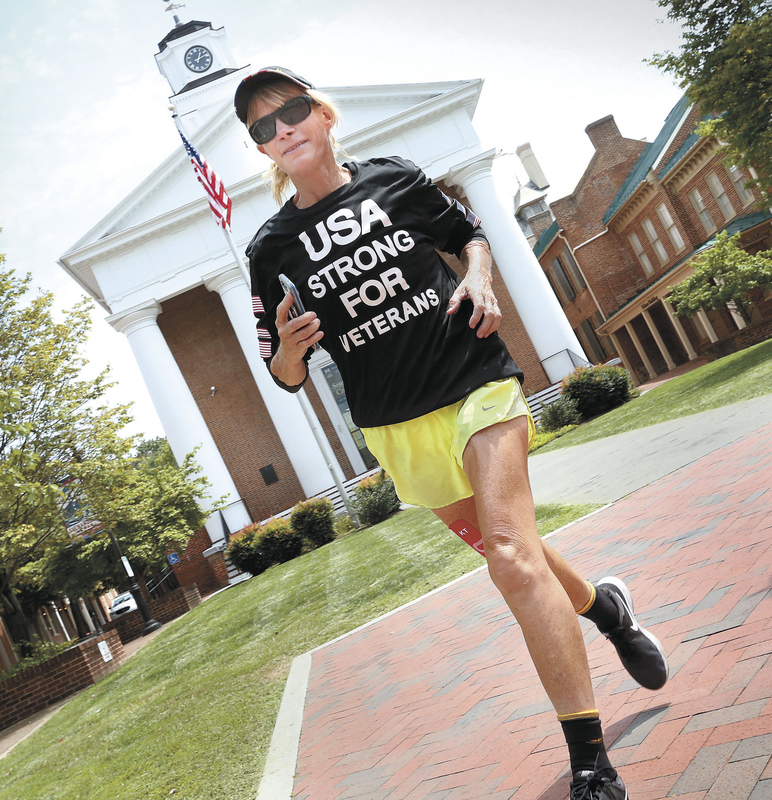 WINCHESTER — A California woman running across America to help veterans struggling with post-traumatic stress disorder (PTSD) stopped by Winchester on Friday. 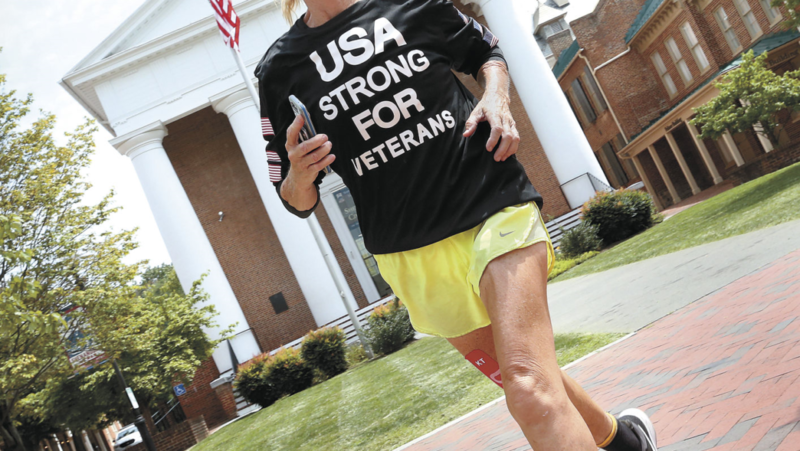 Clinical psychologist Katie Strong, 59, began her journey to the U.S. Capitol on June 18 in Oregon. The Glendora, Calif., resident has been running 30 to 40 miles a day. Winchester Star writer Josh Janney tells the story. Copyright 2017 Operation Middle Ground, Inc. All Rights Reserved.